The love of my life once told me, strive for excellence, not perfection. Perfection is unattainable, whereas excellence is achievable. Oxford’s defines perfection as “the condition, state, or quality of being free or as free as possible from all flaws or defects” while excellence is defined as “the quality of being outstanding or extremely good”. Perfection and excellence both are human concepts, so naturally we use these as tools in our interface with the universe. Myriad examples of the application of either concept abound, so to narrow the focus to one, consider a sword made of diamond versus a sword made of Damascus steel. The diamond sword is perfect. It’s been crafted out of pure diamond, one of the hardest known substances on earth consisting of a crystal lattice of tetrahedrally bonded carbon atoms, and has a razor-sharp edge that can slice a piece of tissue paper falling across its blade cleanly in two with the help of gravity alone. Against an unarmored opponent, this sword would likely slice their flesh to ribbons in the hands of an adept duelist. In contrast, there is the sword crafted of fine Damascus steel. 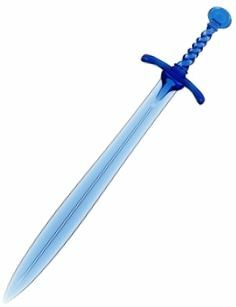 Although the physical shape of this sword is the same as its crystalline counterpart, its molecular structure is vastly more complex and variable. 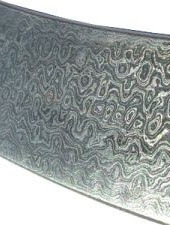 Closeup of a Damascus steel blade. Research on Damascus swords crafted in ancient times has revealed that impurities in the steel ingots used to craft these swords led to the formation of what we describe today as nanowires and carbon nanotubes, structures which lend unique variability and resilience to the metal at the molecular level. In addition, Damascus steel blades have been found to contain a variety of elements as impurities, including carbon, manganese, vanadium, calcium, lead, and others. Now envision these two blades, each executing two basic techniques of sword combat, the slash, and the parry. 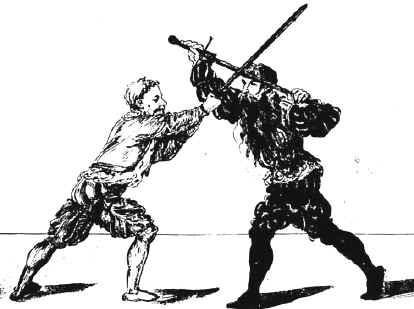 The slash involves using the sharpened edge of the blade to slice the flesh of an opponent. Given the sharpness of the flawless diamond sword’s blade in this example, as well as that of the Damascus steel blade, and the target, say a pork belly, it seems clear that both blades will perform this straightforward task well. Indeed, perhaps the diamond will edge out the Damascus steel to some extent, similar to the way obsidian, a similarly brittle but remarkably sharp material exceeds the sharpness of surgical steel, reducing the extent of scar tissue in flesh. The parry, however, is a bit more interactive. 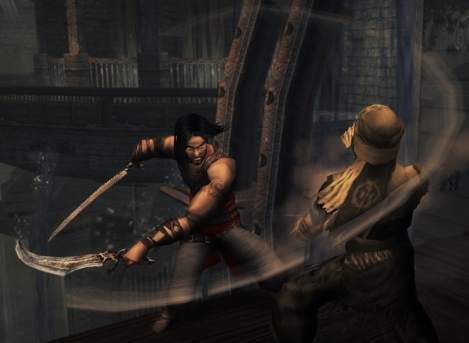 Rather than simply connecting the leading edge of a blade against flesh, a parry may involve blocking or deflecting a strike using the flat of the blade. Whether the diamond blade is giving or receiving the parry, it’s highly likely that the blade will break. Given diamond’s relatively inflexible crystal lattice, the odds are very much in favor of any impact fracturing that lattice and causing the blade at best to crack in two, at worst to shatter into the proverbial million pieces. 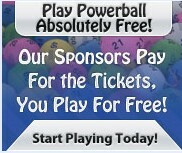 What does this say about the efficacy of striving for excellence in favor of perfection? Perfection has honed the diamond blade to razor sharpness, given it crystal clarity, and made it capable of slicing flesh with the greatest of ease. The focus, and utility, of the blade are as uniform as the pure carbon it’s composed of. For the specialized task of slashing, it is masterfully suited to this role. Excellence has granted unique characteristics to the Damascus steel by virtue of the impurities infusing its molecular structure. It may result in an incision which under a microscope appears more jagged, but the relatively flexibility and resilience of the blade enable it more likely to withstand a powerful blow. The diamond blade illustrates simultaneously the appeal and the danger of embracing perfection. Perfection is flawless, sublime, but inherently fragile, whereas excellence, though not flawless, may better endure the onslaughts of the unexpected by virtue of the very imperfections which define it. I suggest that you update your parry photo, since the one you currently have isn't really a standard parry or even a good parry. In the picture, the one on the left is already behind the blade of the one on the right, so with a turn of his wrist, he could make a cut attack directly into the white-and-black one's flank. The white-and-black one could do a simultaneous attack to the reddish one's head, and they would both end up injured or dead. A better example of a parry is the picture of parry five from thearma.org. The direct link to the picture is http://www.thearma.org/essays/FLAT151.jpg and the link to the article is http://www.thearma.org/essays/edgemyth.htm. The article is definitely worth a read, and I think that picture better illustrates an effective parry since there's clearly no way for the one on the left to break through it. I have a soft spot for parry five in sabre fencing since I was never able to do it with any degree of skill, and I'm totally jealous that Aragorn can do it against like a twelve-foot troll and I can't even do it against a regular person. You do NOT parry with the edge. You parry with the flat.